Our expertise in the organization and individualization of every outing will make your job easy. We’ll provide an awesome round, hearty food and a wonderful day for every one of your guests. We host over fifty outings each year, including corporate events and local fundraisers, and each event receives individualized attention and care. Our course layout provides 18 holes to accommodate tournaments from full field shotguns up to 144 players to 9-hole scrambles for groups of just 16. During the event, we’ll take care of everything including labeling carts with group assignments, taking bags to players’ carts, and the golf tournament scoring. Our club has a great location in Covington, situated just minutes from downtown Cincinnati. 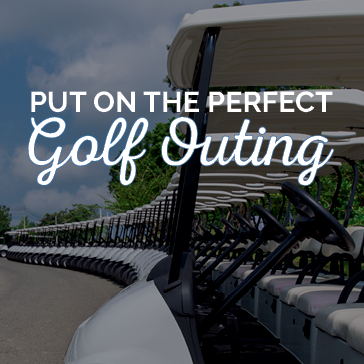 A variety of dining options can be included in your outing package, but the real treat is the views of downtown Cincinnati your golfers will enjoy during a pleasurable, yet challenging round of golf. The staff at Devou Park is committed to making your event enjoyable and professional. We can make your day extraordinary – an outing that will leave your guests with golf memories for a lifetime. please fill out the Outing Request Form or call 859.431.8030 and ask to speak with David Peru.